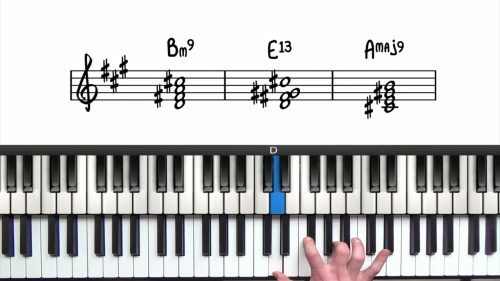 In this lesson, we’re going to explore an important tritone relationship for altered dominant chord voicings. You should already be familiar with the regular dominant 13 voicings that we have covered in the lesson on rootless voicings. A useful relationship to understand, is that when we play this exact voicing over the bass note a tritone away from the original, we get a cool & hip-sounding altered chord. 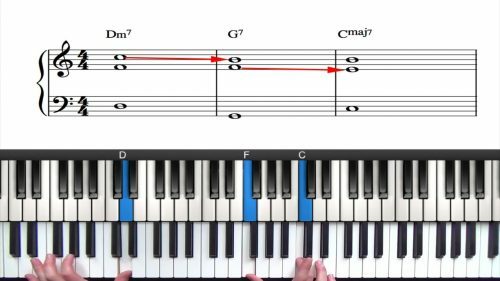 By visualising the dominant 13th voicing a tritone away, we can quickly access the altered tensions of any dominant chord. The best way to practice this relationship is to learn the related voicings sets. By following the exercises outlined in this lesson, you will split your work in half. We demonstrate with 3 sets of tritone pairs. You should then work through the remaining keys, and add this to your practice schedule. Once you understand how to use these voicings in your left hand, you can experiment with 2 handed voicings to get some bigger altered sounds. Play a shell in your left hand, and then play an altered dominant voicing in your right hand. Pay attention to the melody note on the top of the voicing and you can switch between the different altered tensions to achieve some interesting sounds. We are going to explore tritone substitution and apply the chosen melody over tritone sub 25s in the song “There Will Never Be Another You”. First, play these voicings on their own, and then the next step is to incorporate them into the 251 progression. Experiment with these sounds so that you can make a conscious decision on whether you want to play a 'vanilla' voicing, or an altered voicing. There are only 6 tritones. Learn these voicings in the tritone pairs to cut your work in half. It's important to say the name of the chord when you play the voicing as outlined in the video. 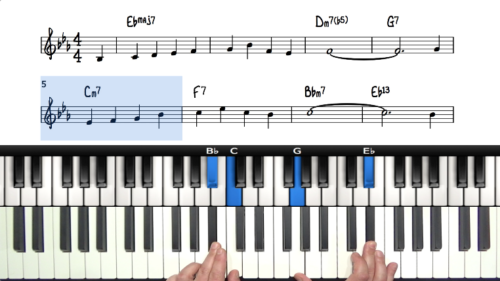 This will develop an association between the name of the chord, the sound, and also the shape of the notes in your hand.